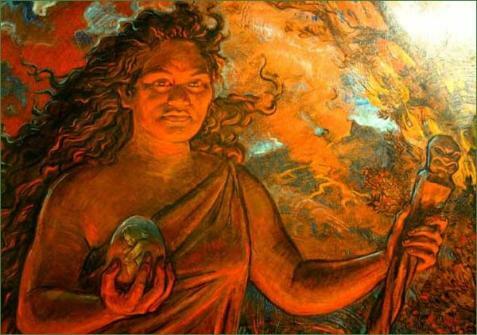 left hand and an embryonic form of Hiiak-i-ka-poli-o-Pele in her right. 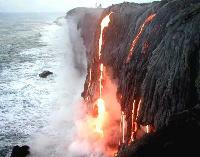 reason, because fire and volcanoes had formed their new home. 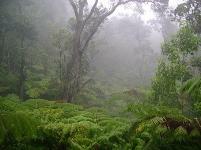 places where you can come face to face with an active volcano. These are not the typical steep conical peaks, but "shield"
when it breaches the surface some 10,000 years from now. Memorial of the Pacific at Punchbowl on Oahu. island of Niihau just off its west coast. 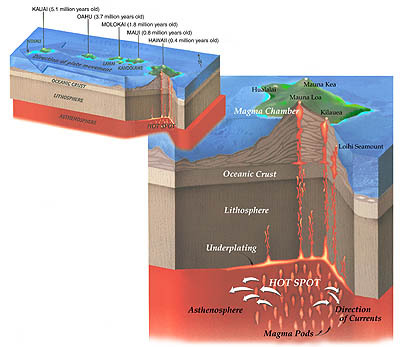 magma source called a hotspot. 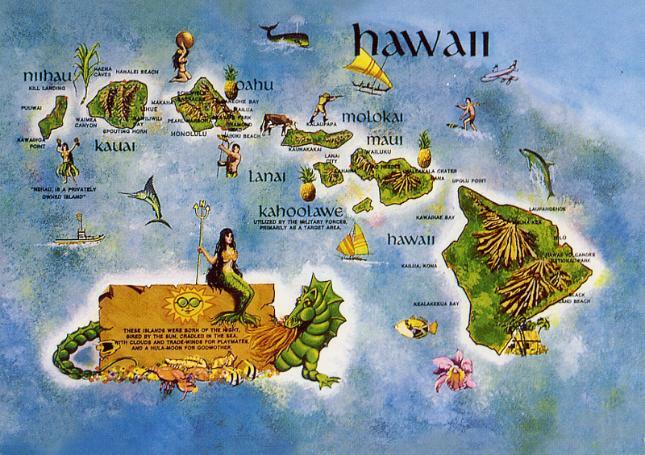 Hawaiian islands is relatively short. of Hawaii and the Resolution of Apology.